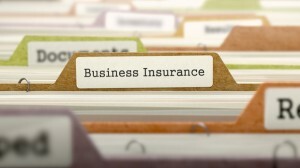 As a small business owner, you may think one insurance policy or an existing plan covers all of your needs. Unfortunately, many business operators fail to be familiar with all of the ins and outs of commercial insurance and affiliated coverage. Read on for a brief glossary of commercial insurance terms that may or may not impact your small business. As the owner of a business, you face significant risk should anything unexpected disrupts your ability to function as normal. A business owner’s policy (BOP) puts a safety net in place that accounts for all costs and risks involved with running a business. Usually policies bundle theft/vandalism, liability, vehicle, property and business interruption for maximum coverage and savings. In our modern age, protecting your business’ digital properties is just as important as insuring the brick-and-mortar side. Data breach insurance allows your business to rebound while helping protect you and your clients’ sensitive information. Emergency IT diagnostics and recovery can be costly– don’t leave your business in harm’s way! If you operate your business out of your own home, special adjustments need to be made to your home and business insurance policies. These changes account for the increased risk of running a home-based business and can help protect you as a homeowner. Don’t risk wondering if you are covered; receive a free quote from ARC today! Whether online, in the back of a truck, at the top of an office building or dangling from the side of one– your business needs insurance. Every job has risks that you simply cannot take without the help of a custom-tailored commercial business insurance plan. Cover your property, vehicles, employees and your business’ overall well-being with insurance coverage from ARC. Professional liability coverage: Provides protection if your business fails to provide service or renders improper/incomplete service. Product liability coverage: Covers any consequences due to defects or deficiencies in products produced by your business. General liability coverage: Insures the right to well-being and safety of all people who visit, use or otherwise interact with your business. Umbrella coverage with many nuances. No task is too great or too small– all small businesses require some form of insurance. If you are unsure what coverage to choose, contact or visit ARC today for an in-depth review of your needs and a free quote. Our friendly, professional staff is standing by to offer guidance and answer any questions you might have.